A PDF copy of all 20 chapters of the original Quickie Aircraft Corporation plans for the Single Seat Quickie. Scanned from a clean original paper copy, the pictures and text are crystal clear. PDF copies of all of the original foam part templates for the Single Seat Quickie. These can be printed full scale and used to produce the construction jigs, main wing, canard, tail, and fuselage bulkheads. 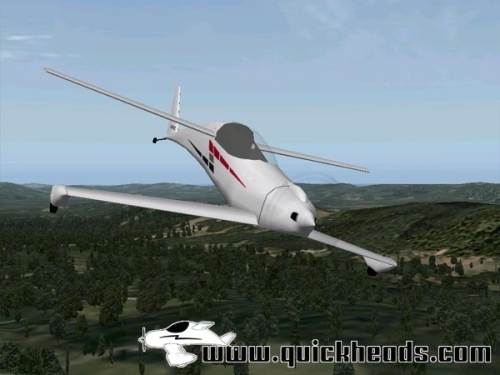 The instructions and Templates will allow you to upgrade the canard on your Single Seat Quickie from the original GU airfoil to the "new" LS1-0417Mod airfoil. You won't have to worry about loss of lift due to rain or bug contamination, and the build tolerances are less critical. 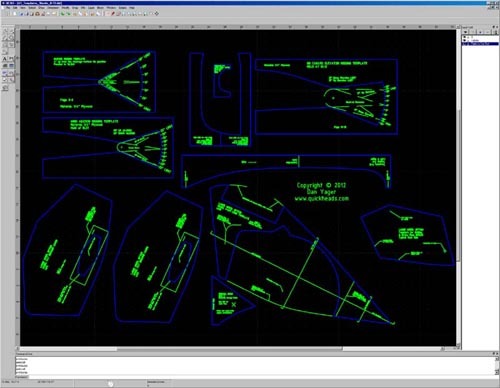 All of the templates mentioned above in AutoCAD DXF file format. These will allow you to use a CNC cutter to precisely cut your foam parts, and jigging assemblies. This is a PDF copy of the original Single Seat Quickie Pilot's Operating Manual as originally supplied by Quickie Aircraft Corporation. This is a digital version of Terry Crouch's award winning Q1. Now you can fly it before you even build it. If you were to buy each of these products individually it would cost you $167.75. You get them all here in one shot for just $99. Plus checkout with PAYPAL's "BILL ME LATER" and get no payments or interest for 6 months! This complete product comes with a 1 year membership (or extension) in the Quickie Builders Association! That means you will have 24/7 access to our online archive of QBA newsletters. That's more than 30 years worth of building and flying information to get you the answers you need FAST. . . plus online support from other builders JUST LIKE YOU!